Большой Голландский Лэйбл, выпускает Rock, Reggae, Celtic, Jazz, Blues & World (в данном каталоге представлены только Jazz, Blues & World). Цена на диски достаточно высока (ориентировочно 16у.е. в Москве). Диски характеризует отличное качество звучания и оригинальный фирменный дизайн. JAZZ: Dirk Balthaus is a very busy man indeed! He divides his time between teaching at the conservatory in Osnabruck, Germany and performing with his own Trio and Sextet, The Ricardo Insunza Brasilian Band, The Willem Hellbreker Quartet, Crossover Piano with pianist Wolfgang Mechsner and occasional appearances with Jan Molenaar's Big Band. In order to do all this you must be an accomplished, talented and functional player and pretty organized as well. But that is not all, for Dirk also composes quite a lot as you can hear on this, his first trio outing on CD. MiniCD; BLUES - The leading rhythm & blues group in the Low Countries.The band started in 1974, released 10 albums in as many years, among them a live album with the legendary Albert Collins from Texas. BLUES: The most obvious element is the powerful voice of the lead singer Tineke Schoemaker. She doesn't need to imitate: her soul and sound are original, her range and timing touches the audience immediately. But where would she be without the band featuring bass player Jan Willem Sligting and drummer Bob Dros who make up the very solid rhythm section always leaving room for the soloist to perform on top with their very characteristic Barrelhouse groove. Both guitar players Johnny and Guus LaPorte prove that excellent guitar-solos and strong and inspired rhythm guitar go hand in hand. The brothers excel in both. The band is completed by the technical prowess of piano player Han van Dam, who adds to the solidity of the rhythm section both during solos or in accompaniment. BLUES: The band has appeared on Dutch television on several occasions and played on major European festivals like Breminale (Bremen - Germany), Moulin Blues (Ospel, The Netherlands), The R&B Festival Peer (Belgium), Blue Balls Festival (Luzern, Switzerland) and North Sea Jazz Festival (The Hague, The Netherlands). Their most recent CD Walking in Time is now available and is already receiving raving reviews in The Netherlands. DigiPack; JAZZ - Angelique started working with the reknowned jazz musicians Harry Emmery, John Engels, Wim Bronnenberg, Jarmo Hoogendijk, Hans Dulfer, Willem Janssen and Eddie Conard. Out of this period and collaboration with Harry Emmery came the cd For Decency, an intriguing collection which combined African percussion, double bass and guitar. The majority of the songs were written by Angelique and featured extended melodic lines as well as her raw and edgy vocals. 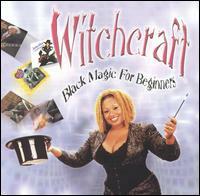 Also included were jazz standards with modern arrangements. 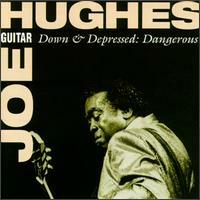 BLUES; Recorded in 1989, this wasn't released in the United States until 1996. Block sounds like she's trying to capture the AOR market on most of this all-original set, in somewhat the same vein as Bonnie Raitt, but less effectively so. Glimpses of her acoustic and blues roots are no more than fleeting, as on "Leavin' Here" or the acoustic guitar instrumental, "Down the Hiway." 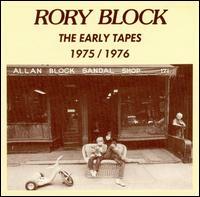 BLUES; On The Early Tapes 1975-1976, Rory Block is still trying to find a distinctive style. She samples from her idols Robert Johnson, Charley Patton, and several others adding slight blues and folk influences to her solo acoustic blues. BLUES: Unknown to the English-speaking market, Cuby & the Blizzards have been one of Holland's top blues bands since the mid-'60s. JAZZ: w/singer Laura Fygi, guitarplayer Leonardo Amuedo, and pianoplayer Rob van Bavel. Producer is vibeplayer Frits Landesbergen. JAZZ: Swing album by Ronald Douglas, of where the craftsmanship really overflows. Humbly, and because of this, so powerfully sung by Douglas and subtly led by guitar player Peter Nieuwerf, piano player Rob van Kreeveld, bass player Ruud Jacobs and drummer Joost Patocka, unquestionably masters of their instruments. JAZZ: Work performed by talented musicians, who all show affinity for the art and the roots of Brazilian music. JAZZ: Dutch Tenor saxophonist Joe van Enkhulzen is known for his albums with Benny Green, Horace Parlan, John Clayton, Rufus Reid, Major Holley and others. 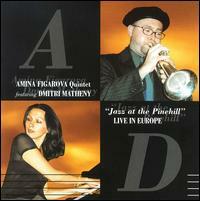 JAZZ: Nowadays Amina divides her time between performing as a pianist/singer, composing and working as a studio musician. Her latest release 'Another Me' mixes funk, fusion and R & B together with jazz, reggae and Latin. JAZZ; Azerbaidjan native Amina ]Figarova is one of those jazz artists who is versatile enough to play electric pop-jazz one minute and acoustic bop the next. The pianist's straight-ahead side prevails on Jazz at the Pinehill: Live in Europe, which documents a 1999 concert in the Netherlands. Featuring Dmitri Matheny. JAZZ; This album is Azerbaijan native and Rotterdam resident Figarova's fourth album and, with the exception of some help with lyrics, is made up of her compositions. BLUES: Detroit native Amos Garrett began working as a professional guitarist north of the border in Toronto. JAZZ: Peter Guidi is a magnificent flautist, it is the way he tastefully tinkers with tradition that makes this recording so deliciously listenable. DigiPack; BLUES: The album contains fourteen original tunes and features also Dutch cabaret phenomenon Hans Teeuwen, heard in the title song, guitar player Guido Eyman and Fernand de Willigen on the slide trombone. JAZZ: Soprano, alto, tenor and baritone saxophone, composer and arranger. The recordings on this album, of some of the country's top (jazz-) musicians playing with John Clayton and Jeff Hamilton from the States - sessions sparked by the joy of long-distance friends reuniting reveal Koos' undeniable talent. His style combines classical technique with excitingly inventive jazz, free from stylish cliches or modernisms. JAZZ: Isotope is an Italian mainstream jazz quartet a quintet if you include the participation of Alberto Buzzi on tenor in two places. BLUES: His high-energy guitar wizardry inspired San Francisco Examiner critic Philip Elwood to write, "[de Jong] is my favorite local guitarist, an unforgettable voice and such a powerful delivery." BLUES: The duo of Bobby King and Terry Evans followed their well-received 1988 duet session with a solid second outing, this time taking over the production chores as well as performing. The ten tracks included anguished love tunes, uptempo dance cuts and moving ballads, with the accent on their own material as they split writing duties and penned nine of the cuts. JAZZ: Dutch trumpetplayer Gerard Kleijn (1964) w/special guests vocalist Fay Claassen and the Russian tenor saxophone player Dmitry Shapko. WORLD:Fernando Lameirinhas, now living in the Netherlands, is not a typical fado singer. 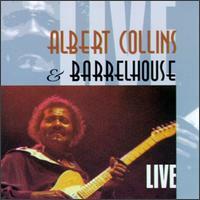 His rythmic concept bears closer resemblance to the Morna - a traditional style played in Cape Verde. His music, entirely self composed, is a synthesis of his different musical origins. It evokes emotion and touches the hearts of his audience in the Portugese tradition, woven together with lilts of jazz and blues, making his music very much his own. 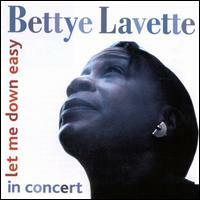 BLUES: Detroit's most underrated female singer. JAZZ: The first searing CD of The New Quintet (BMCD 304) was broadcast and recorded before a very lively audience at the famous Nick Vollebregt Jazzcafe' for TROS-SESJUN in Laren Holland, on February 17th. 2000. JAZZ: 11 of Sinatra's most famous songs in an invigorating way, so take off your (reading)glasses and enjoy the rest ofPiet plays Sinatra! 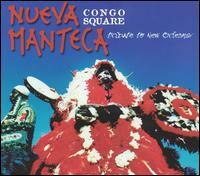 JAZZ: New Orleans and Afro-Cuban music New Orleans and Afro-Cuban music. JAZZ: Recorded during their European Tour. JAZZ: Bebop, Modern, Cool, Mainstream, Swing. BLUES: Jazz musician Karl Ratzer, a singer, composer, and guitarist, was born in Vienna, but he got his start in the music world in the '60s with funk and rock bands in Austria. In 1972, he moved to the United States and began working with a group best known as Rufus & Chaka Khan. In 1977, Ratzer formed a band with Dan Wall, Jeremy Steig, Ray Mantilla, Eddie Gomez, and Joe Chambers. Over his career, Ratzer has worked with a well-known mix of funk, pop, jazz, and blues artists such as Art Farmer, Chet Baker, James Moody, Bob Berg, Steve Grossman, Eddie "Lockjaw" Davis, and many others. JAZZ-RAP: Ugly Duckling is a quirky, jazz-influenced alternative rap trio who formed in the Los Angeles suburb of Long Beach in 1995. Group members Dizzy, Young Einstein, and Andycat started collaborating around 1995, and the hip-hoppers took the name Ugly Duckling because they felt like outcasts on the Southern California hip-hop scene of the mid-'90s. JAZZ: Rosie Val's first performance was being asked to sing one line at the end of a recording for Munich Records, Holland (A Porter's Love Song to a Chambermaid. PLJ 004) and three days later had to repeat is on a live broadcast for Radio Hilversum.